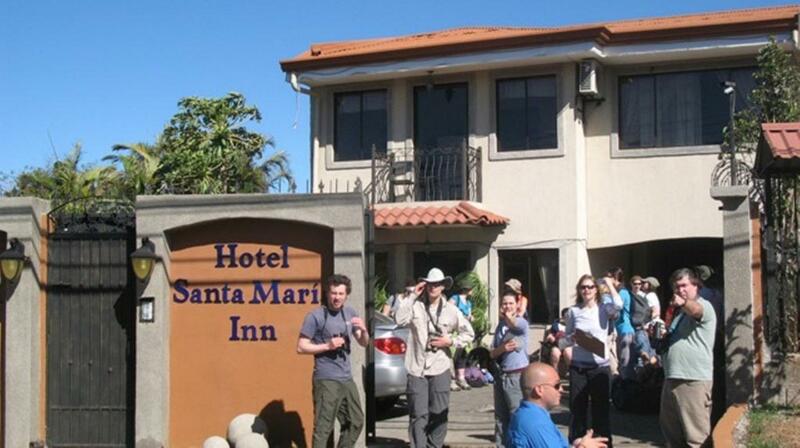 The Santa Maria Inn is a charming hotel located just five minutes from the Juan Santamaria International Airport in Costa Rica&s central valley. Though close to the airport, guests will find themselves pleasantly surrounded by a peaceful atmosphere. The central valley is a lush, mountainous area made up of a series of volcanoes and verdant hillsides. The Poas Volcano, one of the largest in the world, is located less than an hour from the SantaMaria Inn. Less than an hour from the hotel are the Poas Volcano National Park, where you'll follow trails that will lead through a magical cloud forest, and the La Paz Waterfall Gardens, which boast an amazing series of cascading waterfalls, butterfly gardens, a frog pond and much more. Also, take a city tour of San Jose and learn about its interesting history and fascinating museums and theatres. 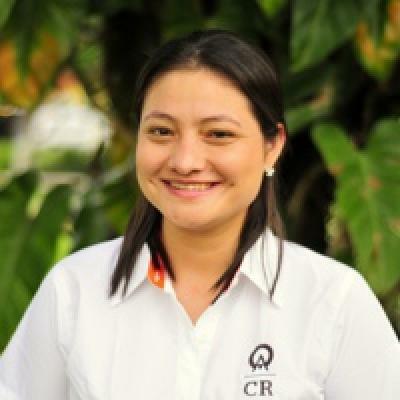 There are also several coffee plantation tours, canopy adventures and canyoning excursions. The quaint inn is situated in a tranquil neighborhood, near a variety of fine restaurants, shopping and sites. The guestrooms are all equipped with air-conditioning, cable television, a telephone, European style double beds and a private bath with hot water. Also, the rates include a delicious continental breakfast, a great way to start off your day of adventure and transportation from and to Juan Santamaría Airport. "Perfectly adequate for a sleep over, and the breakfast was lovely. The little balcony off the breakfast room was fun, and the fireworks we saw from it, arranged just for us, I'm sure, were great. Seriously, there were fireworks." Perfectly adequate for a sleep over, and the breakfast was lovely. The little balcony off the breakfast room was fun, and the fireworks we saw from it, arranged just for us, I'm sure, were great. Seriously, there were fireworks. They tried to help in any way possible. The pick up at the airport for our evening arrival was important to us. If the driver located right where arrivals came out that would have been the best location to find them. Sari, Arturo, and their sons at the Santa Maria Inn were most gracious. Our room was clean, comfortable, and adequately provisioned. Because our flight departure times were early on both mornings that we were at the Inn, we were unable to experience the breakfast part of the B/B. The first day there was cereal, bread, juice, and milk available for our use in the guest kitchen, but on our return, there was no juice or milk provided - not a major issue, but somewhat disappointing.